Fred Roberts is a botanical consultant with 25 years of field experience surveying rare plants in southern California, and author of The Illustrated Guide to the Oaks of Southern Californian Floristic Province. Oaks are an important element of the California landscape and are one of the most widely recognized plants in southern California. 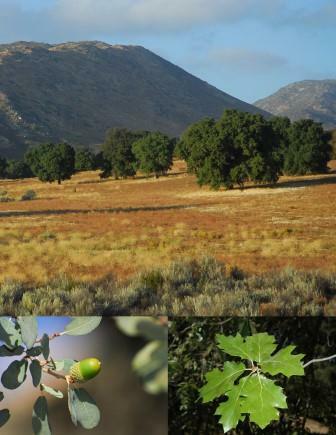 San Diego County boasts one of the highest diversity of oaks with ten known species ranging in form from the intricately and tangled-branched Nuttall’s scrub oak, a coastal oak that hid in plain sight of botanists for over a hundred years, to California black oak, a mountain species with large, bristle-tipped leaves that turn yellow and fall to the ground in the fall. With the exception of a few readily recognizable trees, many are similar in appearance, so determining individual species can be a challenge. Fred will introduce these oaks and others as we tour our San Diego species, learning something of their ecology and how to tell them apart. Fred Roberts has been a student of natural history most of his life. Graduating with a degree in geography with a strong emphasis in botany from the University of California, Santa Barbara, he moved on to work as the Assistant Museum Curator overseeing the herbarium at the Museum of Systematic Biology at the University of California, Irvine, then worked as a botanist at the U.S. Fish and Wildlife Service. While he is the author, or contributing author, on several other books, including Vascular Plants of Western Riverside County: An Annotated Checklist, Vascular Plants of Orange County: An Annotated Checklist, and the recently published guide, Wildflowers of Orange County and the Santa Ana Mountains, his passion lays with rare plants, lilies, and especially oaks.